Rabbis Elliot Kukla, Natan Fenner, Jon Sommer, and Eric Weiss are the longest serving rabbinical team in the San Francisco Bay Area. This tenure lends a depth of service and experience to the common good. The rabbis are specially trained, beyond their graduate and seminary years, in a combination of Jewish education, Clinical Chaplaincy, and Spiritual Direction. Collectively they have contributed to the field of Jewish Healing by their daily work, publications, workshops, conference presentations, and consultations. 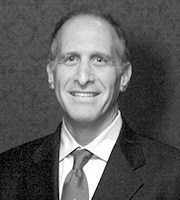 Rabbi Eric Weiss was born and raised in Los Angeles, California. He attended the University of California at Santa Cruz where he received a B.A. in Biology and Judaic Studies with honors. 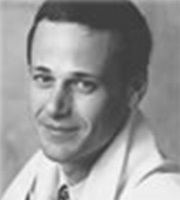 He lived in San Francisco and worked in law offices before he entered rabbinic school at Hebrew Union College-Jewish Institute of Religion. He holds a Masters degree in Hebrew Letters and was ordained in 1989. In addition to his rabbinic seminary work, he is formally trained in Jewish education, clinical pastoral care, and spiritual direction. He is a spiritual direction supervisor. He is a co-founder of “Grief & Growing(TM): A Healing Weekend for Individuals and Families.” His writing has appeared in many publications. He has served on several boards among them the national board of the Central Conference of American rabbis (CCAR), the Reform movement’s national rabbinic body. Rabbi Weiss has taught extensively throughout the Bay Area, and has been featured in local and national media. 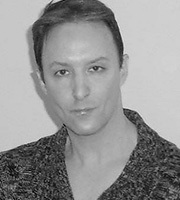 He lives with his husband Dan in San Francisco. Masters degree in Hebrew Letters, Hebrew Union College-Jewish Institute of Religion, Los Angeles. Ordained in 1989, New York. Former member of the Board of Directors of the Central Conference of American Rabbis (CCAR), the Reform movement’s national rabbinic body. CCAR Rabbinic Mentor (2006-2012). Author and co-editor of Mishkan R’fuah: Where Healing Resides, CCAR press, 2014. Featured in national and local media including monthly host of local CBS’s Mosaic. Former Rabbinic Co-chair of Shalom Bayit Rabbinic Advisory Council and recipient of its prize. Consultant to Northern California Presbyterian Homes and Services’ Spirituality Initiative. Contributor to Rosh Hashanah Readings: Inspiration, Information, Contemplation, Edited by Rabbi Dove Peretz Elkins, Jewish Lights, 2006; Yom Kippur Readings: Inspiration, Information, Contemplation, Edited by Rabbi Dove Peretz Elkins, Jewish Lights, 2005; The World is a Narrow Bridge, Edited by Diane Arieff, 2004; Siddur Sha’ar Zahav, 2009; The Mitzvah of Healing, Edited by Hara E. Person, UAHC Press, 2003. Rabbi Natan Fenner, BCC is a board-certified chaplain and has been involved in Jewish healing work since 1992. He has a particular interest in Jewish spirituality and meditation, which he shares through individual counseling, music, Jewish text study, and workshops on blessings and healing. He has provided consultation on spiritual care concerns to numerous professionals and institutions; and he has provided professional support and training to rabbinical students, para-chaplains and other volunteers in the essentials of chaplaincy and visiting the sick. In addition, he coordinates the Bay Area Jewish Healing Center’s Torah Reflections series. 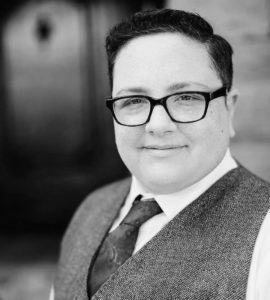 Prior to joining the Bay Area Jewish Healing Center, Rabbi Fenner served as the Director of Chaplaincy Services and oversaw religious life for the Philadelphia Geriatric Center. During that time Rabbi Fenner took part in the American Society on Aging’s Forum on Religion, Spirituality and Aging. Before entering the rabbinate, he worked as a community organizer in Chicago, and as Planning and Allocations Associate for the Jewish Community Federation in San Francisco. He also spent two years living in Israel. Masters degree in Hebrew Letters from the Reconstructionist Rabbinical College (RRC). He was ordained at RRC in 1997. Four units of Clinical Pastoral Education (hospital-based chaplaincy training) completed between 1995 and 2000. Rabbi Jon Sommer has served in the United States Air Force and began his professional training and work at the U.S. Air Force Academy, then later in Washington D.C. and at Air Force Space Command. He received the distinguished Air Force Achievement Medal. He is a graduate of both Hebrew Union College-Jewish Institute of Religion and the University of California. He holds a Bachelor of Arts in Literature and a Masters degree in Hebrew Letters. Rabbi Sommer was ordained in 1998, and currently serves on the board of a Reform Movement think-tank that addresses critical and timely issues facing modern Jewish thought and practice. Masters degree in Hebrew Letters, Hebrew Union College-Jewish Institute of Religion. Ordained in 1998. U.S. Air Force: Captain, Rabbi, 1995 – 2011. Served at U.S. Air Force Academy (Colorado Springs, CO), Pentagon and Bolling Air Force Base (Washington D.C.), and Air Force Space Command (Mountain View, CA). Cambridge Journals: Association of Jewish Studies Review: November, 2011. The San Francisco Jewish Bulletin: “Rabbi Boteach Showed no Sensitivity to Mental Illness”, August 4, 2011. Rabbi Elliot Kukla was ordained by Hebrew Union College in Los Angeles in 2006 and trained in chaplaincy at UCSF Medical Center in 2007 specializing in mental health chaplaincy at Langley Porter Psychiatric Institute. Before moving to the Bay Area he served a number of diverse congregations and organized for economic justice with Clergy and Laity for Economic Justice (CLUE), and Jews for Racial and Economic Justice. He has a BA in Religion and Fine Art from the University of Toronto and before attending rabbinical school he worked as an arts journalist in Toronto. B.A. in Religion and Fine Art from the University of Toronto. Masters Degree in Hebrew letters from Hebrew Union College-Jewish Institute of Religion(2004). Ordained in 2006.